Is KAR Power Faster complicated to install? The software is very easy to install. When the application starts, you simply need to accept the license agreement to launch the installation. After only a few seconds the installation is complete and KAR Power Faster runs automatically. Will my computer lost performance? No, KAR Power Faster automatically adapts to your needs and does not interfere in any way to your use of your computer. No performance will be lost, on the contrary, the software manages memory applications that can speed up your computer up to 5 times! Do I need to configure the software before using it? Once the software is installed on the computer, it automatically starts and configures itself. You can continue using your computer without worrying about the software that is completely transparent. Is there a risk to use this software for my computer? 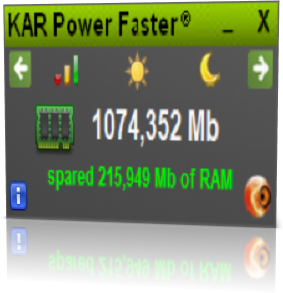 There is no risk to your computer to use KAR Power Faster. Indeed, all functions of the software are certified compatible with Microsoft Windows. In addition, IA-KAR is a partner of Intel Software Development (see the link: http://software.intel.com/partner/search-detail?companyguid=58eb1389-a9ea-4913-afd0-bb8715c03ca5). KAR Power Faster is compatible with all antivirus on the market. If when you are downloading or installing KAR Power Faster your anti-virus displays a message telling you that the software is infected by a virus, it can be a false positive. As a first step, right-click on the application and then "Properties". Navigate to the tab "Digital Signatures" then verify the information with the company name "IA-KAR". 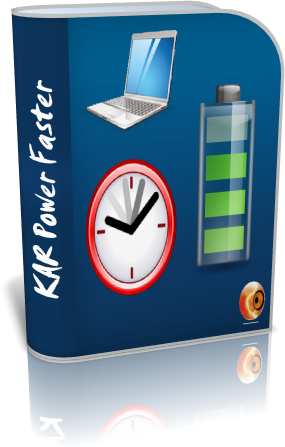 KAR Power Faster is signed by a digital certificate that certifies its originality IA-KAR. If the information is correct, may be a malware is on your computer and you should run a full scan. Once you remove the malware then re-download KAR Power Faster and try again to install it. Does the software starts at the same time as my computer? Yes, KAR Power Faster starts at the same time as your computer. So you do not have to worry about it. Once the software is installed and configured according to the way you use your computer (hours and types of standby, for example), it provides its optimization functions automatically.